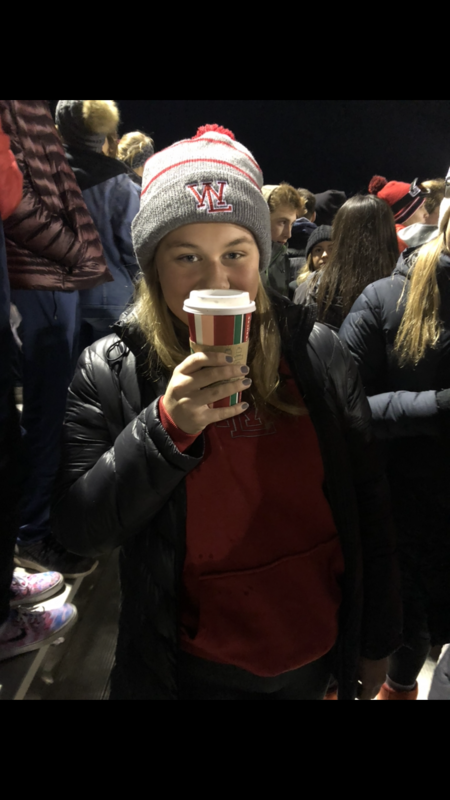 Grace Brantley, 12, sips on her drink at the boys sectional football game against Andrean. “My drink is sweet, but it also has a spice that is very satisfying.” The cold air is no match to a hot Starbucks drink. Amelia Simpson, 11, is at Starbucks before the Purdue vs. Iowa game. “I really like the Pumpkin Spice Latte after a run because it is simple but delicious.” The Pumpkin Spice Latte is a famous flavor of fall. Gillian Beaver, 10, sips on her drink during the football game this past Friday. 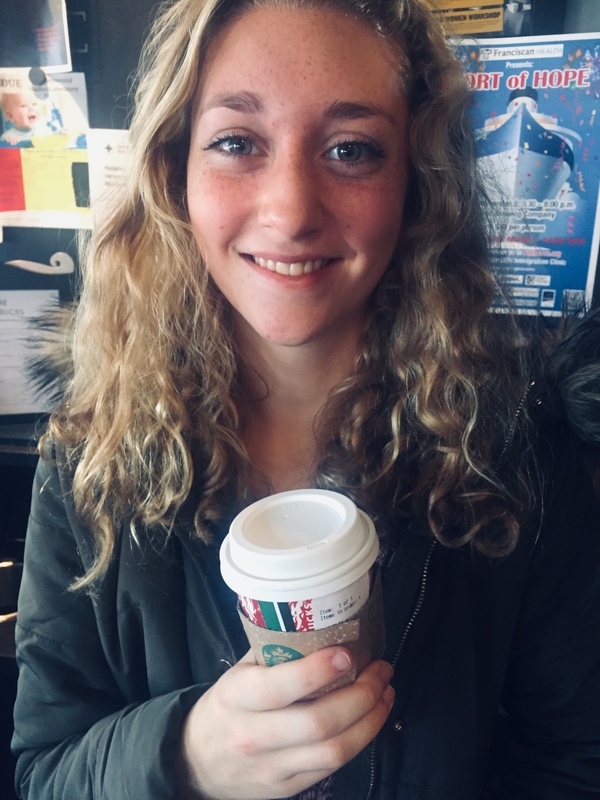 “I got the Peppermint Hot Chocolate because it was freezing outside and I needed something to keep me warm.” This makes 40 degree temperatures bearable. Cidnei Bricker, 12, drinks Starbucks before class on Friday. 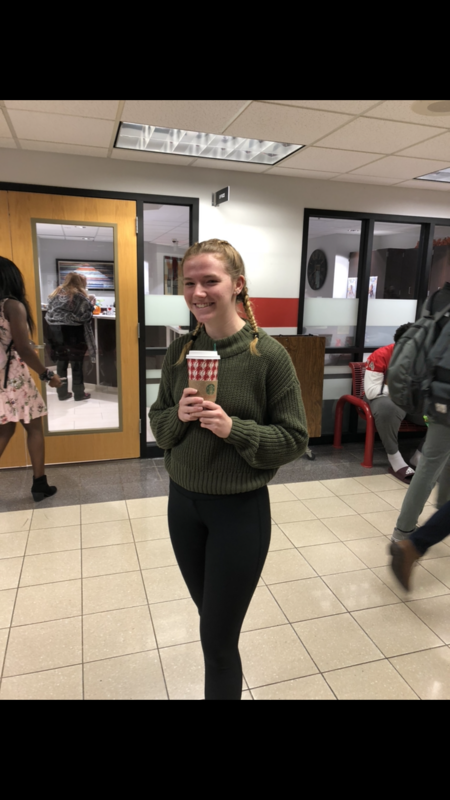 “I got a Caramel Brulee Latte because Starbucks was handing out free holiday reusable cups with a holiday drink purchase.” It is always a good way to brighten a day. 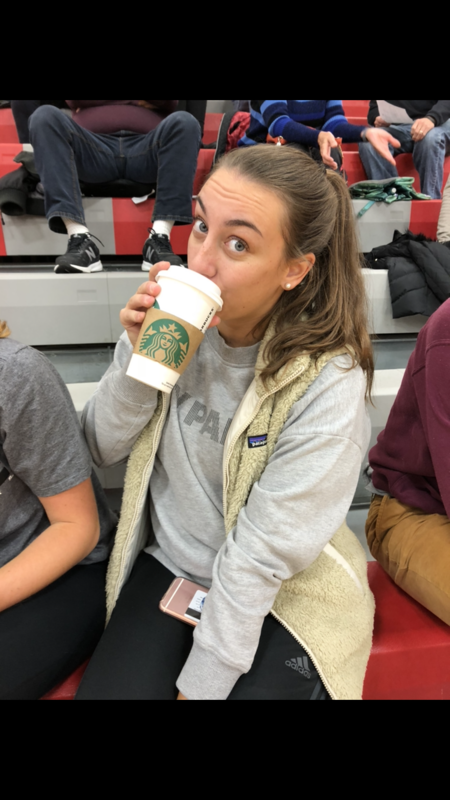 Grace Kirchner, 12, slurps Starbucks at the girls basketball game vs. Carroll. 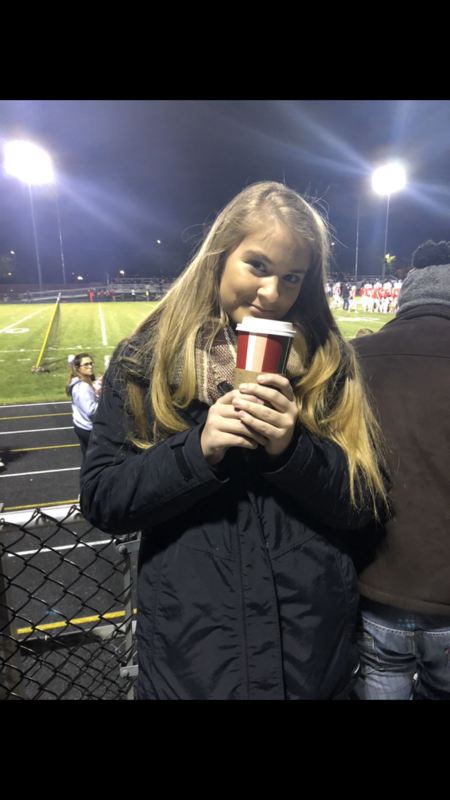 “I got a hot coffee because I was tired after softball conditioning.” A great way to watch the Red Devils win.